Local charity Hearing Dogs for Deaf People is preparing for the most magical season of all with a wonderful Christmas Market on Saturday 25 and Sunday 26 November, 11am-4pm. The Saunderton-based charity is opening its doors to Christmas shoppers and dog-lovers for two days of yuletide fun, with plenty of activities and gift stalls to get all the family into the festive spirit. 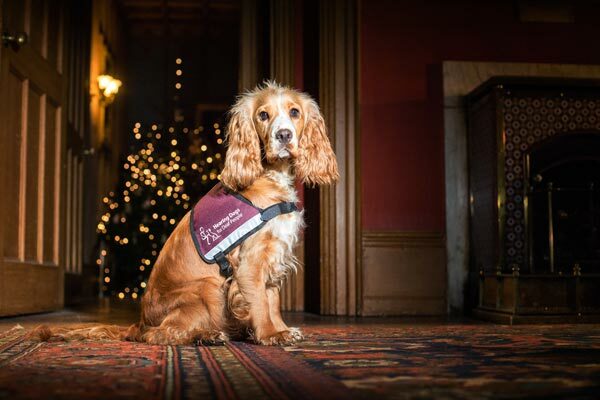 "We are ready to kick-start the Christmas season with the return of our much-loved Christmas Market at our Hearing Dogs headquarters, nestled in the heart of Buckinghamshire countryside. “We will have plenty of stalls providing beautiful hand-crafted gifts and stocking fillers to tick off your shopping lists as well as a special visit from Father Christmas who will be in his grotto to give presents with the help of his special elves and rein-dogs! And, if that's not enough, everyone will receive a complimentary mince pie and warm mulled punch. So, dust off your Christmas jumpers and join us for a magical weekend!"